After the Inspiron 17 7779 review, we still can’t think of a reason why would anyone opt for a 17-inch convertible but obviously there’s a market for that as well. Probably the combination of a big working space and flexibility appeals to a number of users. 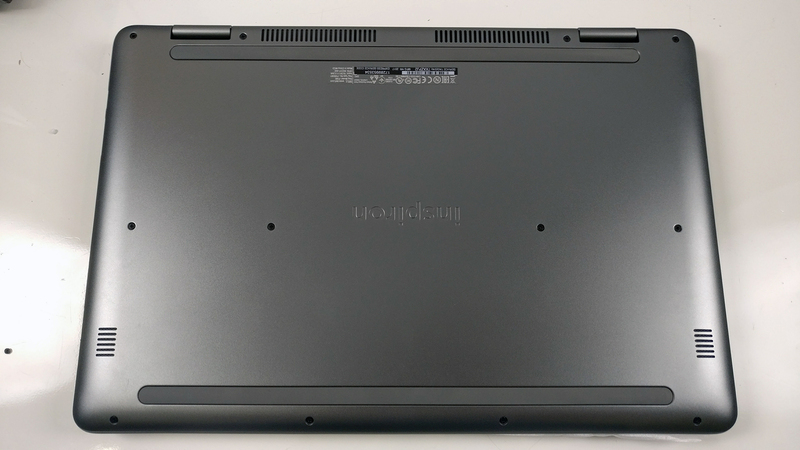 Luckily, the 17 7773 remains a well-executed 17-inch convertible with just a few drawbacks that are usually inherent to the big screen models anyway. 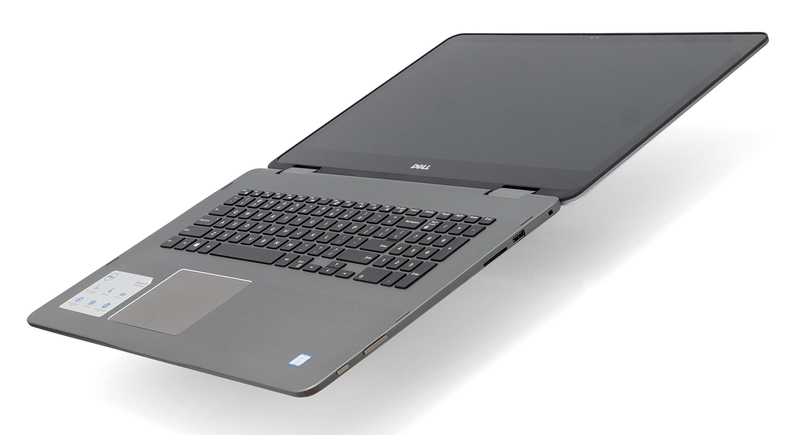 Still, in terms of design, the Inspiron 7773 is almost identical to the 7779 – all-aluminum body, pretty much the same I/O, comfortable keyboard, useful touchpad and 360-degree rotatable hinge with glossy touchscreen. 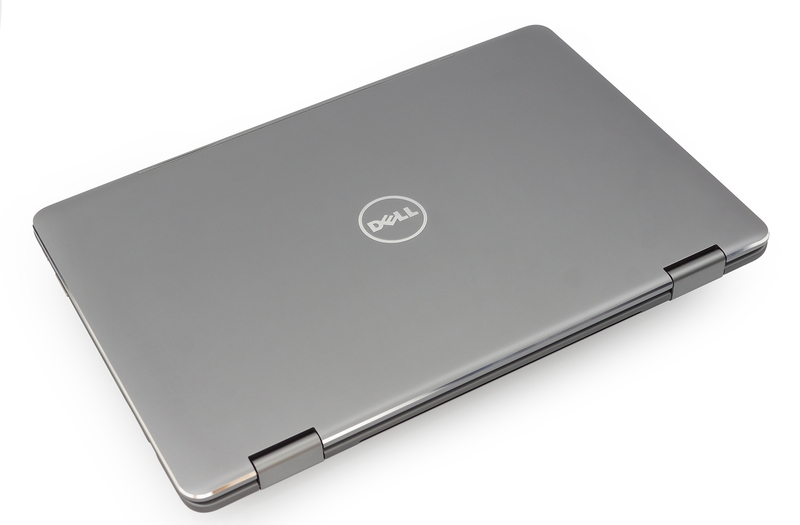 Also, the Inspiron 7773 doesn’t improve on weight and dimensions – the case is practically the same. The only thing changed here is the hardware and the price. Both have been significantly bumped up – now starting at $899, the machine comes equipped with the latest 8th Generation Intel CPU (Core i5-8250U) and NVIDIA GeForce MX150 with 2GB GDDR5 memory and can go up to Core i7-8550U. All models come with Full HD IPS panels so there’s no problem here but we would like to see if the battery life is still good and are there any significant changes in the image quality and cooling system because last time, the latter wasn’t very impressive. Continue reading to find out more. 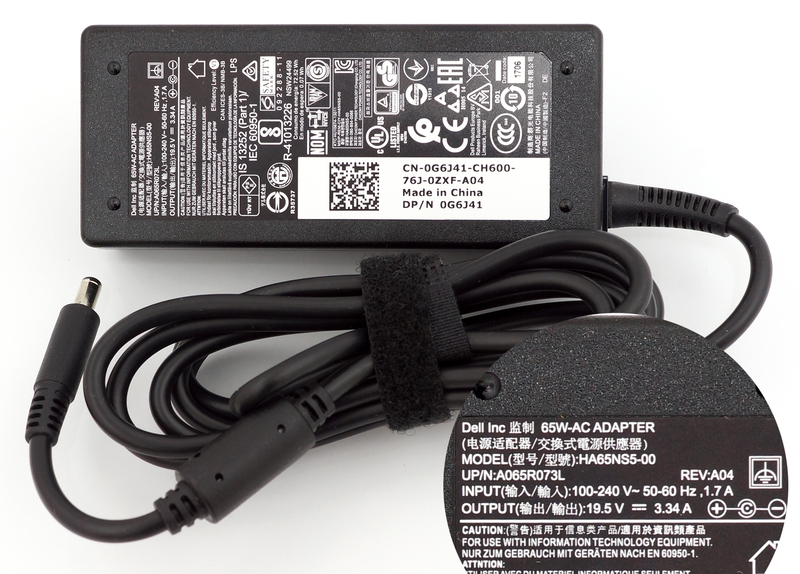 The notebook comes in a standard box with the usual user manuals, AC adapter and power cord. As we already stated, there are no apparent changes in the design – the anodized aluminum makes an appearance on the top and interior. There are some chamfered edges around the lid and the touchpad making it look more aesthetically pleasing. The thickness remains at 22.6 mm while the approximate weight is around 2.94 kg, which is pretty hefty, especially for a convertible. As before, the anodized aluminum plate doesn’t impress with extraordinary sturdiness as it sinks under small amounts of pressure and you can easily hear that “vacuum” sound. It did, however, hold up pretty well to our twisting attempts and fortunately, none of these issues actually cause ripples to appear on the LCD screen. Speaking of which, the big upper bezel and lower chin make an impression and add more to the overall size. The hinges still feel a bit overly tightened and due to the heavy nature of the display, the wobbling effect is pretty pronounced when using the touchscreen in laptop mode. The bottom still uses an aluminum sheet with small grills for the loudspeakers and the cooling fans. The sides, unfortunately, don’t offer a better I/O selection than a normal 15-inch or even 14-inch laptop. The left side has only the HDMI, USB-C 3.1 (Gen 1) with DisplayPort support, 3.5 mm audio jack and a standard USB 3.0 connector. The right side comes only with one USB 2.0 port (3.0 would have been much better) and the SD card reader. 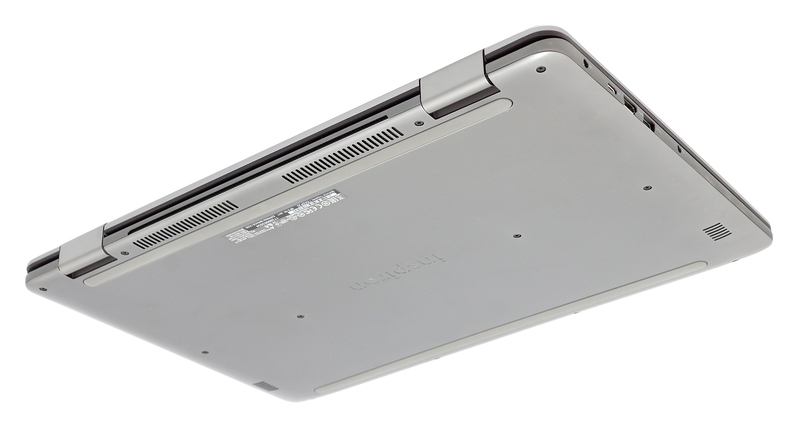 Towards the front, you can easily feel the slightly protruding power button and volume rocker for easier operation in tablet or presentation mode. 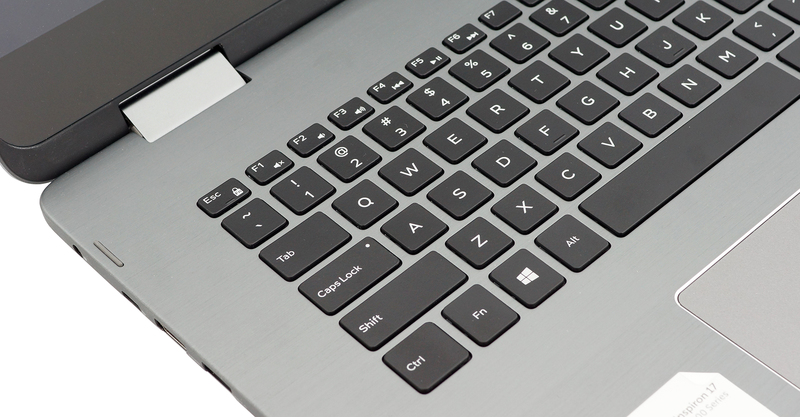 The interior surprises with brushed aluminum instead of anodized one and more importantly, has a comfortable keyboard, touchpad and the plate withstands big amounts of pressure. 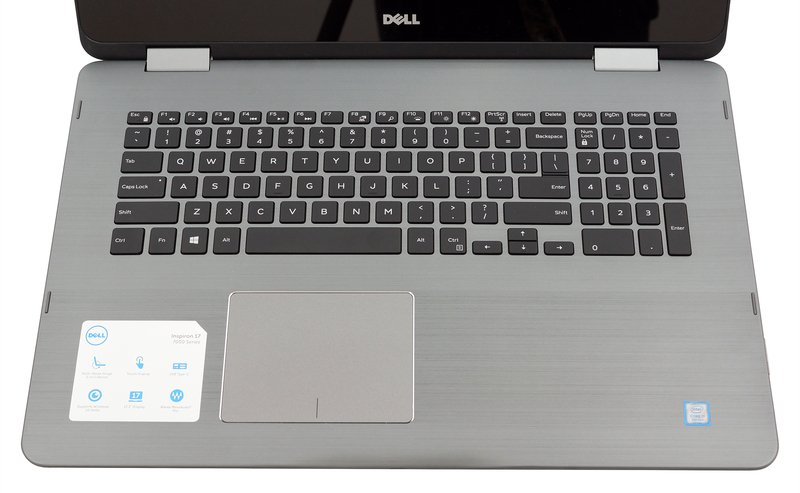 Although, the previous Inspiron 7779 didn’t impress us with a good keyboard and it seems like things have changed a little this time around. Now the keys have more pronounced clicky feedback, they are well-spaced and have a reasonably long travel. Speed typing is a pleasure. The touchpad also feels pretty nice – it’s responsive, accurate and has fairly light mouse clicks but the surface is roughened which isn’t optimal for gliding. 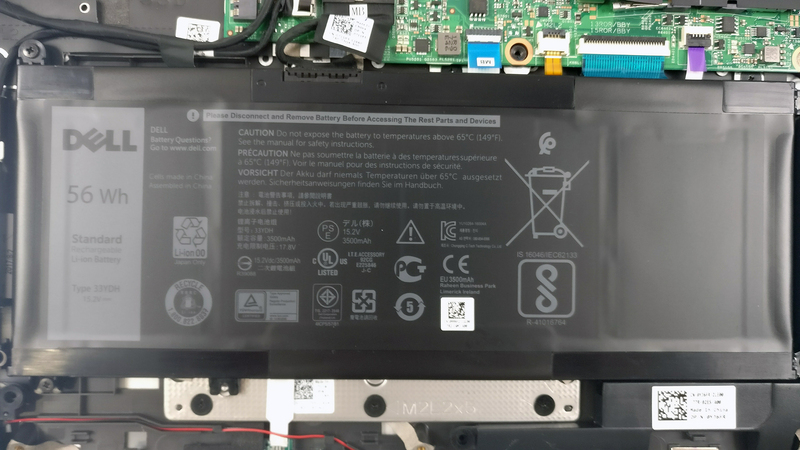 Since there are no major changes in the design and overall build, our main complaints stand – it’s a bit hefty for a convertible, the screen wobble when using the touch panel is pronounced and the selection of I/O is pretty limited for a 17-inch device. And with the small exception of the bouncy back panel of the lid, the rest of the build is spot on. Even though there are no dedicated service covers, the bottom plate comes off easily and provides access to all of the internals without much of hassle. Just remove all the screws on the bottom and gently pry it up. 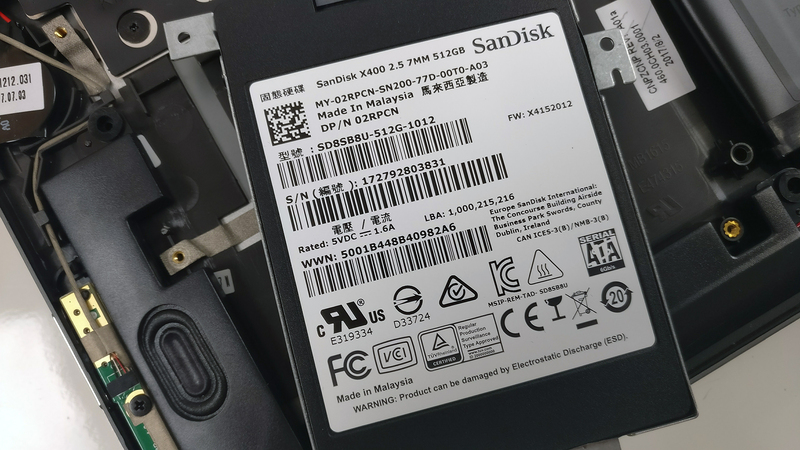 The storage options are the usual ones – M.2 SSD slot + 2.5-inch SSD/HDD slot. 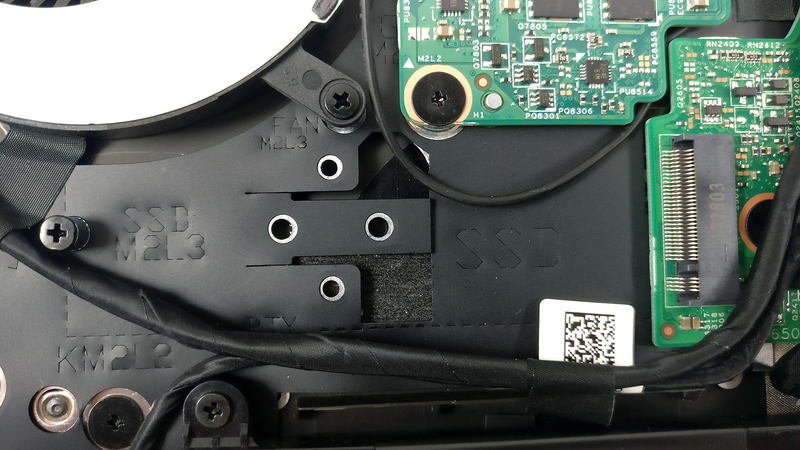 Our unint in particular, however, had only a standard 2.5-inch SATA SSD while the M.2 PCIe NVMe-enabled SSD slot remains available for an upgrade. As usual, the motherboard holds two RAM slots each supporting up to 16GB of DDR4-2400 memory. 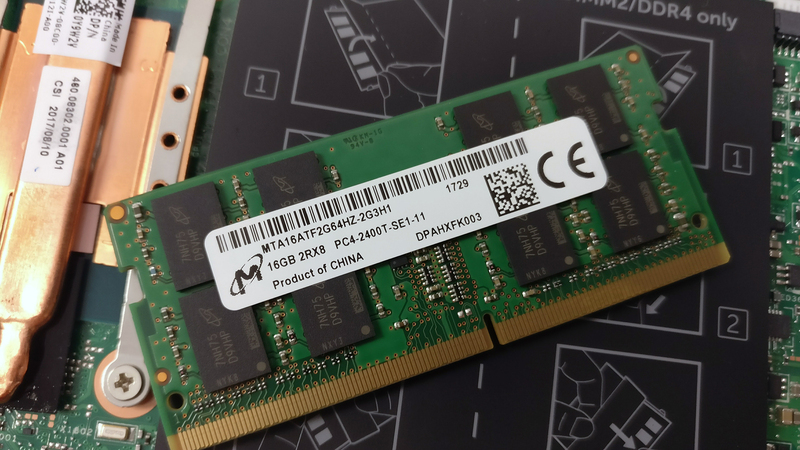 The unit we reviewed had just one chip – 16GB DDR4-2400 from Micron. 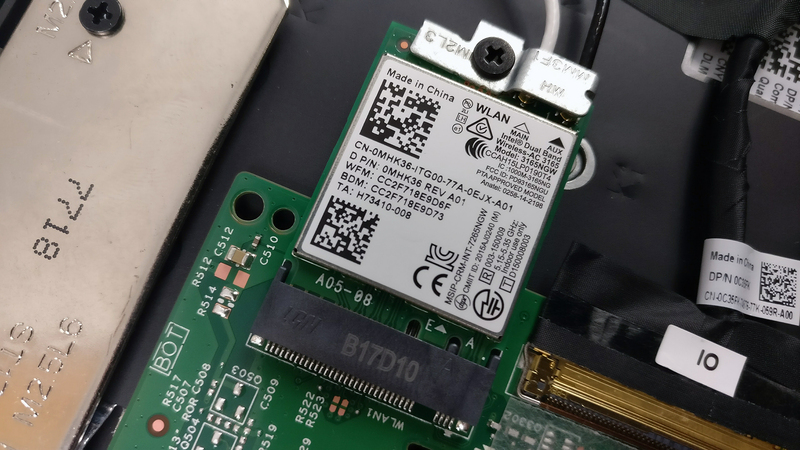 The Wi-Fi card is placed near the cooling fan (with the bottom of the machine facing upwards) and it’s Intel 3165NGW. The battery is located under the wrist rest area and provides a decent 56Wh charge. The cooling design hasn’t been changed from the previous version and still uses two small heatpipes and a single cooling fan. Interestingly, though, the fan radiator is a bit far from the back grill for dispersing the heat but according to our stress tests, it isn’t that big of an issue. 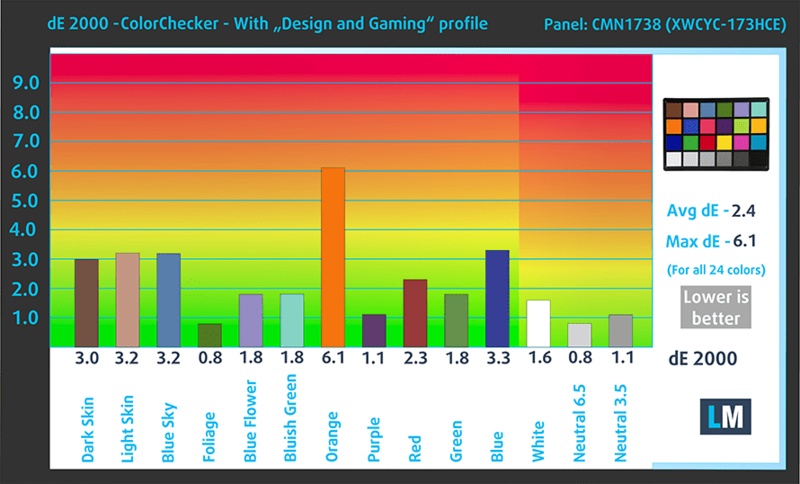 Last year’s model used an AUO panel but this time around, the Inspiron 7773 relies on the CHI MEI CMN1738 (XWCYC-173HCE) panel again with Full HD (1920×1080) resolution, 127 ppi density and 0.1995 x 0.1995 mm pixel pitch. It can be considered as “Retina” when viewed from at least 69 cm. We’ve recorded a maximum brightness of 32 cd/m2 in the center and 301 cd/m2 as average across the surface with 14% maximum deviation. The correlated color temperature appears to be almost perfect – 6540K. Keep in mind that the optimal color temperature is 6500K. As we go along the grayscale, the color temperature aligns perfectly with the optimal one – 6500K. 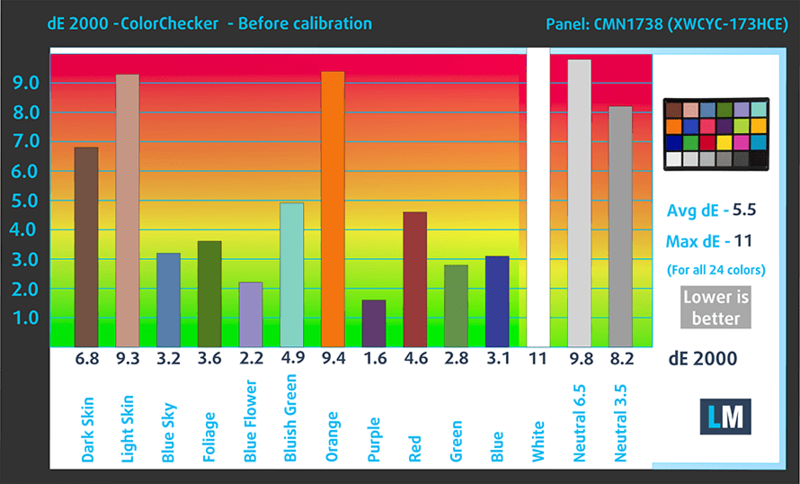 You can see how these values change in the image below for 140 cd/m2 (48% brightness). The relative dE2000 (color deviation) shouldn’t be more than 4.0 if you are planning on using the screen for color-sensitive work. The contrast ratio is excellent a well – 1450:1 (1300:1 after calibration). The sRGB color gamut coverage is 92% so most of the HDTV and web-based colors can be reproduced making the screen ideal for multimedia. Unfortunately, the display uses aggressive PWM for regulating screen brightness (1 kHz) for all brighntess levels except the maximum one. So we suggest using our Health-Guard profile or just keep the brightness slider at 100% all the time. It appears that Dell has used a high-quality IPS panel with little to no drawbacks. It checks all the boxes for a good multimedia experience – high maximum brightness, high contrast, wide sRGB coverage and fairly accurate color reproduction out of the box. 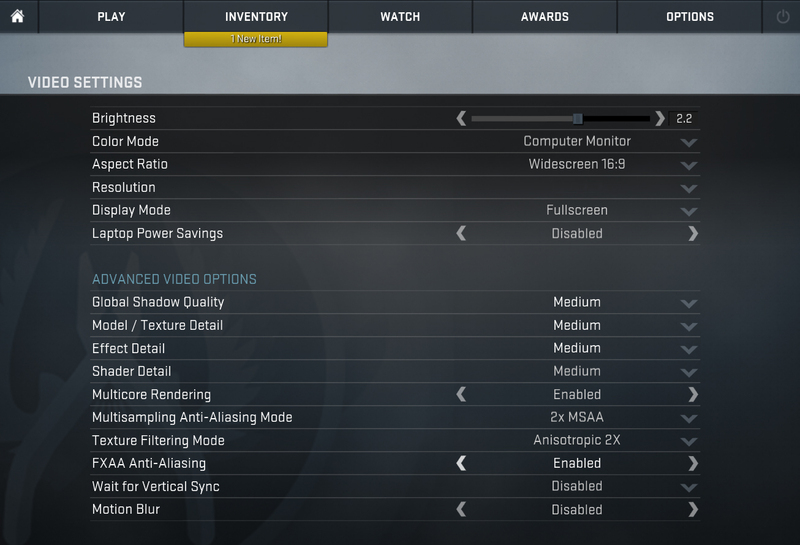 However, if you need the best possible experience, our Design and Gaming profile should lower the dE2000 significantly. The one and the only issue we can’t overlook is the aggressive PWM from 0 to 99% brightness. This should be taken into consideration especially by users with sensitive eyes. The battery capacity hasn’t increased but the battery runtimes have been improved considerably over the last generation. This is mainly due to the new Intel 8th Generation processors that appear to be well-optimized in terms of energy consumption. 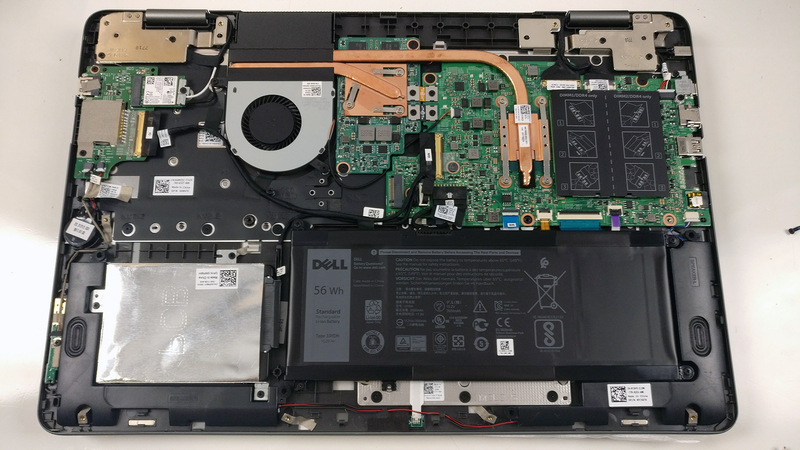 In fact, the 56Wh battery charge pushes the Inspiron 7773 way up the rankings and it’s safe to say that it’s one of the most impressive 17-inch laptops in this regard. Impressive web browsing runtime – 667 minutes (11 hours and 7 minutes). Similar video playback score – 513 minutes (8 hours and 33 minutes). Of course, the laptop isn’t made for gaming away from the power source but it can still run for more than four hours during heavy workload – 278 minutes (4 hours and 38 minutes). Fritz is a chess benchmark that tests the computing capabilities of the CPU with various chess moves. 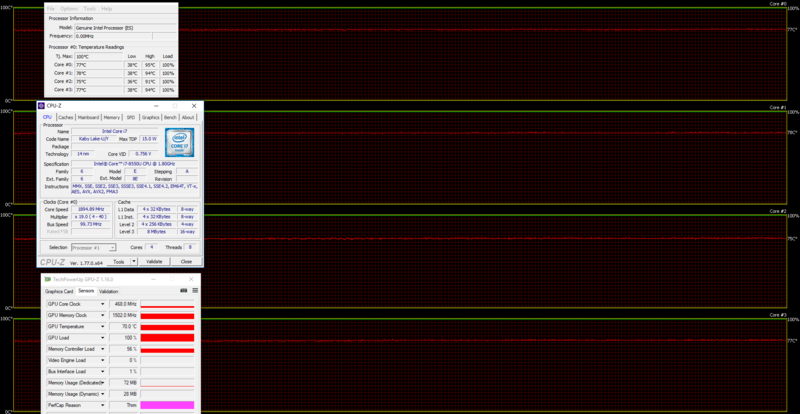 The Intel Core i7-8550U managed to get 10.128 million moves per second. For comparison, one of the most powerful computers, Deep(er) Blue, was able to squeeze out 200 million moves per second. In 1997 Deep(er) Blue even beat the famous Garry Kasparov with 3.5 to 2.5. The GeForce MX150 is an entry-level mobile card that is part of the latest NVIDIA Pascal lineup of GPUs, based on the GP108 chip paired with 2GB of GDDR5 memory via 64-bit interface. The GPU is the successor of GeForce 940MX and it was announced in Q2 of 2017. The GeForce MX150 operates at a relatively high base frequency of 1469 MHz, while the Boost frequencies can go up to 1532 MHz. 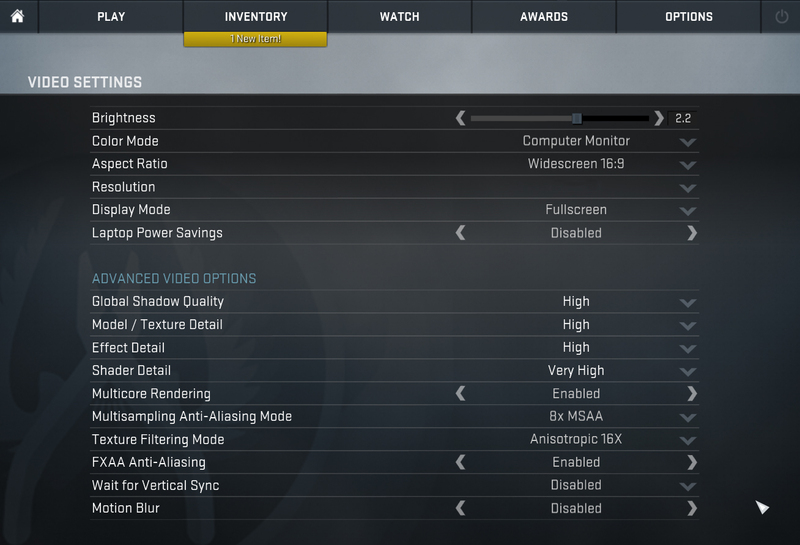 The GPU incorporates 384 shader units (CUDA cores) while the memory is clocked at 6008MHz (effective). These specs ensure a significant performance boost over the previous generation of Maxwell GPUs. The TDP of the GPU is lower than the last generation GTX 950M and even the GTX 1050 – 25W compared to 40W for the two models above. 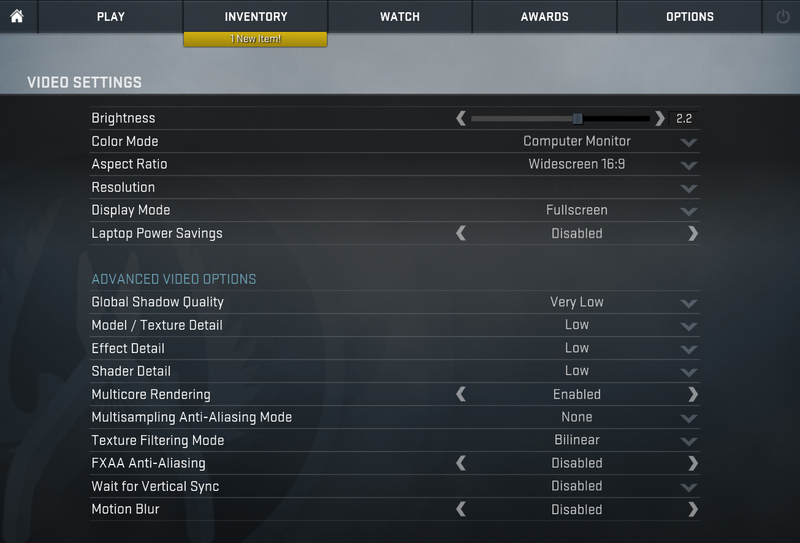 Performance-wise, the GeForce MX150 should be similar to the desktop GeForce GT 1030. Here you can see an approximate comparison between the GPUs that can be found in the Dell Inspiron 17 7773 models on the market. 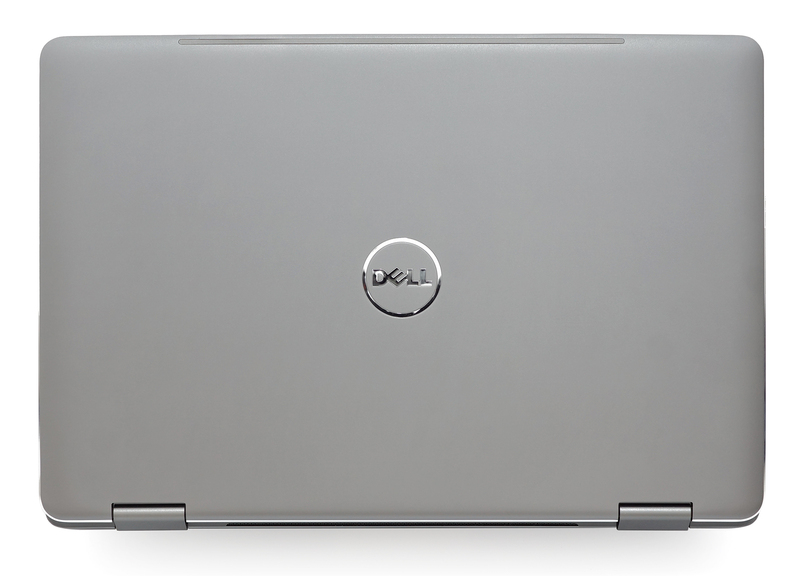 This way you can decide for yourself which Dell Inspiron 17 7773 model is the best bang for your buck. The stress tests that we perform don’t represent real-life use because even the most demanding games don’t require 100% CPU and GPU load for such long periods of time but these torture tests remain as the most effective way to assess the overall stability of the cooling system in the long run. We started off with 100% CPU load for about an hour. The Core i7-8550U utilized the full performance of all four cores for a brief moment but then gradually settled at around 2.1 – 2.3 GHz. Turning on the GPU stress test didn’t cause the CPU to throttle – it just settled down to its base operating frequency – 1.8 – 1.9 GHz. 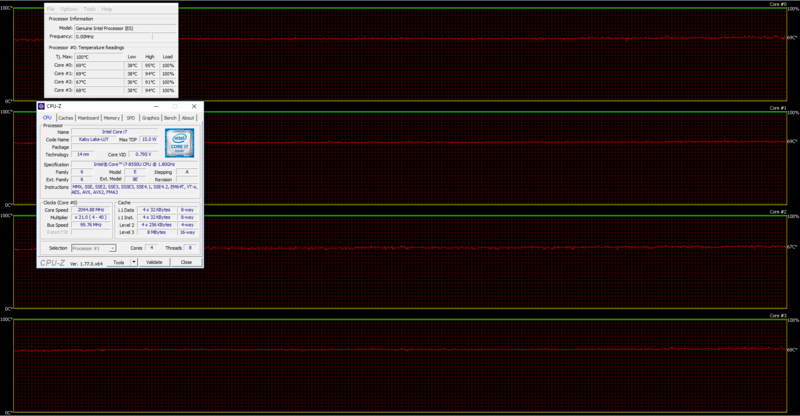 However, the GPU wasn’t able to show its full potential and was massively throttling during the whole test at 468 MHz. This shows that the current cooling design isn’t enough to handle even this quite undemanding hardware. Probably the short and small heatpipes contribute to the issue the most. Temperatures on the surface, however, remained low even during this extremely heavy workload. 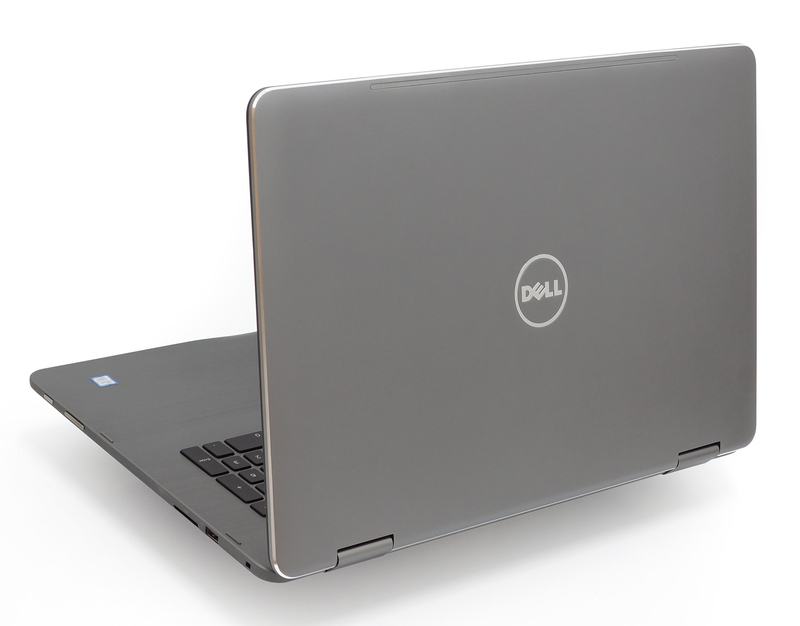 As a standard 17.3-inch laptop, the Inspiron 7773 is one of the best all-rounders out there with excellent build quality, good input devices and capable hardware. The high-quality IPS display is another big plus you should consider because it’s a multimedia-centric laptop after all. Unfortunately, you will have to deal with the aggressive PWM along the way and luckily, our Health-Guard profile should take care of that. 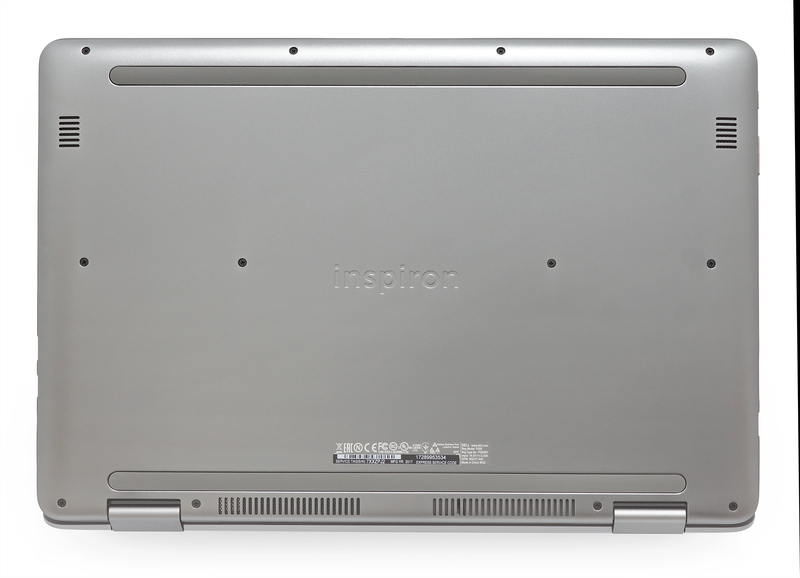 But besides the elegant looks and the flashy screen, the Inspiron 7773 has some apparent issues that are mostly related to its form factor. Firstly, there probably aren’t nearly enough users that will get this laptop just because it’s a 17-inch 2-in-1 convertible and even if they do, the hefty and rather big chassis makes it awkward to hold in tablet mode. Don’t get us wrong, though, the Inspiron 7773 appears to be a great 17.3-inch laptop but it’s not one of the most practical 2-in-1s we’ve seen so far. In addition, the rather limited I/O selection is a big bummer since this is a big machine after all. And secondly, the cooling system can’t seem to support the rather undemanding hardware during heavy workloads. Most probably, you won’t be using it for a gaming-centric daily driver but you should consider the GPU throttling issue we’ve experienced during our stress test. 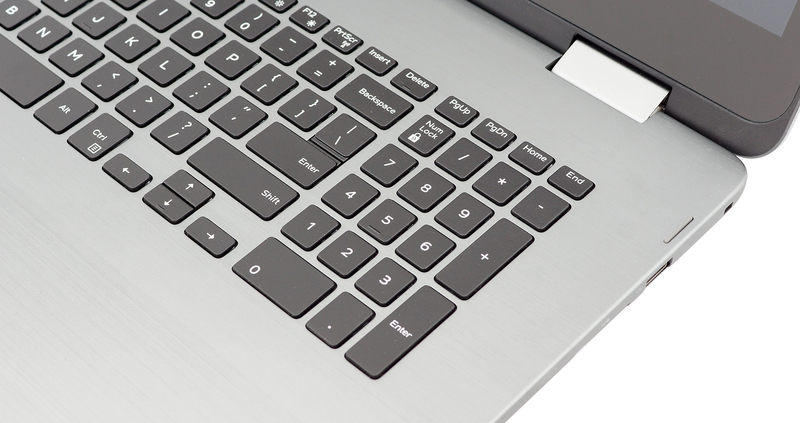 And to our big surprise, the Inspiron 7773 comes in strong with amazing battery life. Rarely can you expect such long runtimes from a 17.3-inch laptop and yet, the Inspiron 7773 surprises in this aspect as well. So if you are really into the 17.3-inch form factor but battery life isn’t the thing you’d want to sacrifice, this strange 2-in-1 is an ideal choice. Hello How a Display profile can prevent PWM ??? We change the whole color scheme and contrast to make the display more bearable at maximum brightness. This way, you can set the display at maximum luminance without the screen being perceived as too bright by your eyes. And when you set the display at 100% brightness, the PWM is eliminated. John, what was that link Dell sent you for the rest of us in case we experience your issue? Fan is now kicking in all the time, very light surfing gets it going! So annoying! Updated BIOS, no dust and vents not blocked, any suggestions?